The Vancouver 2010 Olympic Winter Games open tonight with much fanfare, pomp, jollity, glee, grandeur, ceremony, flourish, and setting things on fire. We’ve spent, oh, about the last six weeks moaning about the whole thing, from the overblown budget to the bogus environmental claims, the sponsor bloat to the unsettled aboriginal land claims, the out-of-control homelessness in Vancouver to the erosion of civil liberties, blah, blah, blah. Hearing ourselves complain about it is almost as irritating as hearing people (and there are plenty of them out there, apparently) saying how wonderful it’s all going to be. Our friends and families—and maybe you, too—are sick of hearing our complaints, and the whole mess is going to go ahead anyway, no matter what we do or say. So: Here’s what we’re going to do. We’re just going to shut up about the whole thing for the next two weeks. Live and let live. The news is going to be absolutely chock-a-block full of Olympic blather, and while we probably can’t tune it out, we can opt not to be part of the problem. 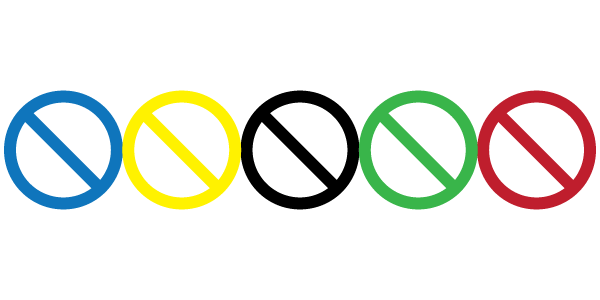 Therefore, This Magazine’s website will be, starting today, a totally Olympics-free zone, continuing through February 28. We’re not going to talk about it, not going to complain about it, not even going to acknowledge the Games’ existence. We’ve said what we have to say. Drop by and say Hello if you need a little refuge from the media carpet-bombing you’re in for everywhere else. See you on the other side!